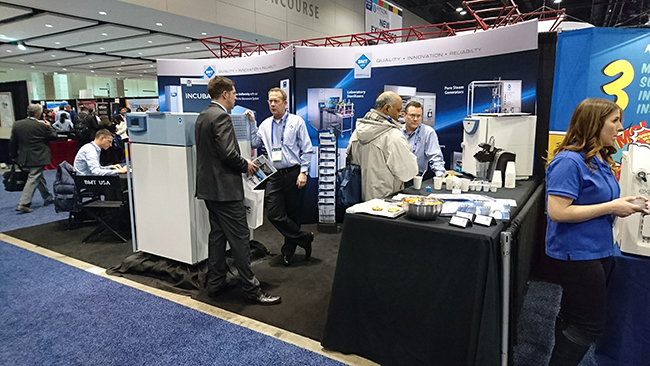 Traditionally, we participated – through our daughter company BMT USA Ltd. – in the largest trade fair of laboratory equipment for American continents – PITTCON 2017. Even though some participants claimed for the trade fair to get smaller and smaller, we proved in the course of the four trade fair day that it is still really worth to be present there. We met current representatives of many American, European and Asian countries. There was also held a planned meeting with our new and strong Australian partner. In the course of the trade fair meetings and non-official evening meeting we confirmed our position of one of the global leaders in heating technology production and we confirmed our relations with many representatives of all the continents. There were intensively represented some small dealers from the US and surprisingly also the end users. More, their visits are important for sales department of BMT USA as well as fro our sales department, as we immediately get direct feedback and information on their needs and binding force of their interest. Other countries with high visit rates included representatives of Mexico, Columbia, Chile as well as Puerto Rico and other Central American countries. 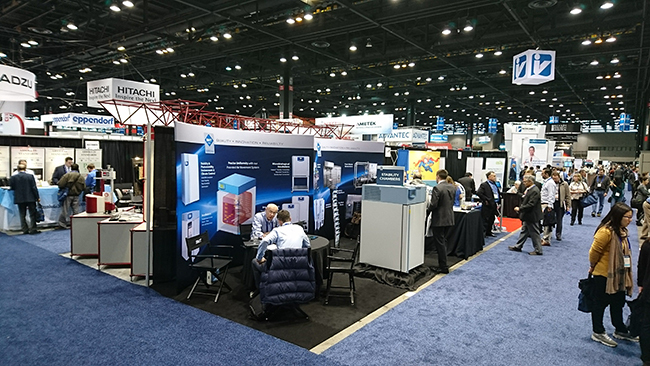 We have also checked the business effects of the new ECO line / EVO line exhibited demo panel of heating technology, which was perceived and assessed highly positively. There were also performed the first orders for the successful marketing tool, which will undoubtedly serve in many countries for many years for support of our devices sale. A direct success in the trade fair was a contract with an importance company from California, a leading supplier of medical material for hospitals in the USA. Finally, we succeeded to meet the high technical demands of the client and requirements towards the delivery term. The order for 11 pcs of Climacell® EVO with extensive accessories is being manufactured at the moment. Making business in other continents is not easy – not only due to different characters of clients or language barriers but also due to different technical regulations. These may be hidden for prolonged periods and uncovered only by a random check performed by local homologation authority. We succeeded to discuss such a problem at the trade fair and we found a long-term solution for 60 Hz compressors required by American markets.